In the turf industry since 1982. Starting from humble beginnings at our Pakenham turf farm back in 1982, today Evergreen Turf operates two turf production facilities across Victoria & New South Wales. 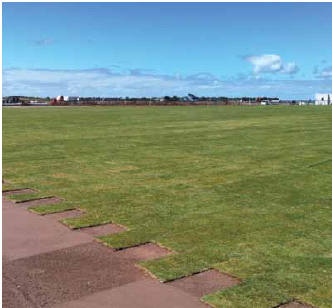 We take pride in our turf and have supplied turf products across Australia from Townsville to Dubbo, to Warrnambool. Give us a call today to discuss how we can secure your next turf order.